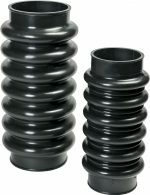 Quality is important to RIS Rubber. Our organisation has therefore now been ISO 9001-certified for several decades. 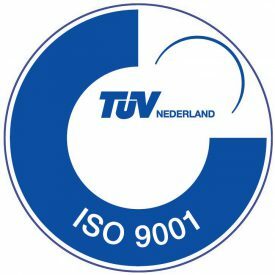 In February, RIS Rubber successfully completed the auditing process for re-certification for the new ISO 9001:2015 standard. To achieve ISO 9001 certification, RIS Rubber reviewed such factors as customer orientation, leadership, commitment on the part of employees, process approach, improvement, evidence-based decision-making and relationship management. As an organisation, we are aware of the requirements imposed by a duty of care for the environment and our associated responsibilities; we consider it to be our task to put in place systematic care to assure quality, safe working conditions, and the minimisation of our environmental impact, and to implement this at all levels of our organisation. A QESH Management System has been set up to realise these aims in keeping with the requirements of the ISO 9001 and ISO 14001 management systems for quality and environment respectively. Both the renewed ISO 9001:2015 standard and the ISO 14001:2015 standard are based on the so-called High Level Structure (HLS). This implies that these standards will have one and the same structure, textual elements and core requirements. This will improve and facilitate the integration of various systems, standards and guidelines.